The billion dollar question: How do you create a business people trust? This post is brought to you by Citrix GoToMeeting. Now that the world has experienced the pomp and circumstance surround Facebook’s IPO, business owners from all different verticals are now sitting around and thinking: “How can I do that?”. Let’s not kid ourselves though, a company like Facebook only comes around every ten years or so, but building a company that’s worth millions is a fair goal to set for yourself. The way to get there is to build something powerful that people trust. Look at a company like Fab, which is on an absolute tear. The business model that Fab has rolled out is genius and built entirely on trust. 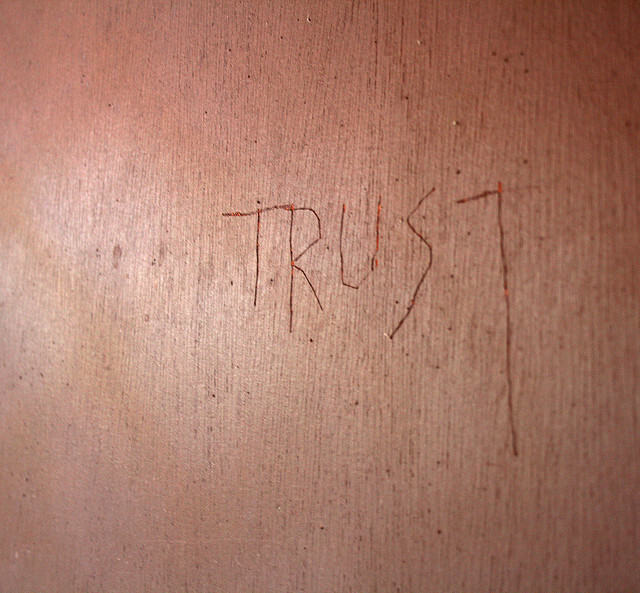 The type of trust that could lead to success depends on your personal business model, though. For Fab, people have come to trust Fab for fantastic recommendations on items to purchase, things that they can’t find elsewhere. Furthermore, people are trusting Fab by subscribing to emails that suggest more things for them to purchase. If you’ve been paying attention to Fab’s growth, it’s working. For a company like Zappos, the company started out as a great way to buy shoes. The curveball was that if you didn’t like the shoes, you could simply send them back and get a refund. People bought and bought, trusting that if they didn’t like the product, Zappos would come through. And it did. The trust that Zappos built with its customers led to its eventual $847M Amazon acquisition. Let’s take a look at the word “trust” as a way to start modeling your own personal march to millions. Trust shows itself in all types of ways. I would argue that Instagram built a phenomenal product based entirely on trust. That trust led to Facebook dropping over $1B into purchasing the company. What did trust have to do with Instagram’s success? There are thousands of photo sharing apps. Instagram reached a quick critical mass based on the fact that people decided to trust the company with their most intimate of moments. If those same people only casually used Instagram, it wouldn’t have been a success. The Instagram product was so polished and built in a solid way that saw almost zero downtime, so people didn’t need to use another service to share their photos. Trust me, people are very picky about what products they use to share things on Twitter and Facebook consistently. If something even slightly rubs them the wrong way, they’ll move on to something else. One of the things that Instagram did very early on was employ a Community Manager that interacted with its users. Not only did she interact, she watched how people used the service and gave that feedback to the team. That bridge required its users to trust that the company was listening and would act accordingly. It paid off, didn’t it? If you have a service that people are paying for, or buying from, then trust is even more important. The best way to build a foundation for trust is to build out a top-tier customer service division. Sure, it might only start out with one person, but you have to grow as your customer base grows. If people ask questions about your products and you take a long time to answer, you’ve proven you’re not listening and that customer they won’t trust you and will likely look elsewhere. Getting people’s trust is easy if you care; keeping the trust is even tougher. You have to be consistent. I’ve spoken to so many companies who say that they have a “solid customer service plan” because they outsource and have people ready to answer questions 24/7. I’m not a fan of this model because once you outsource something you lose complete control of it. Just because you have something doesn’t mean that it’s the best. The only way to make sure your customer support is the best is by living and breathing it. Having said that, outsourcing after hours support isn’t a horrible idea, as long as you’re constantly reviewing their work. People like to skip over the “hard stuff”, because it’s hard. The companies that are successful and trustworthy don’t skip the hard stuff, they make it a focus. When you focus on something with strategy and dedication, tackling it becomes easier. If you decided to run a mile each day it would become easy, but if you only did it weekly, it would be harder. Makes sense, doesn’t it? Ask yourself this question: “If I were a customer, would I trust my company?” Ask yourself that question multiple times a day. If you ever find yourself not being able to answer “Yes” quickly, stop what you’re doing and figure out why that is. You could have ten engineers and a product with no bugs, but if no one can speak to your customers about your product, you need to reevaluate. stop what you’re doing. For every feature that you build, you have to have a person who can explain that feature outwardly. If you don’t, nobody will trust you. If nobody trusts you, you’re wasting your time.